Blue Star Juniper is unique providing a cool blue cooler to your landscaping. 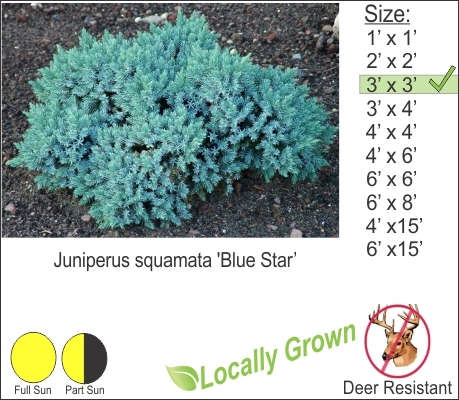 This “everblue” shrub has a nice low mounding habit and has excellent deer resistance. Plant this shrub as an accent or in a larger grouping of 3 to 5 for a greater punch of color in your landscaping.